Historically, Project Management has evolved as a structured methodology within many industries since 1950s. During the initial era of project management, which was started by Henry Gantt and Henri Fayol the main focus was on resource allocation and WBS (work breakdown structure) as key components of project management (Martin Stevens, 2002). 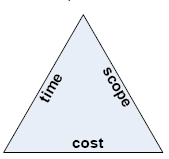 Eventually, in 1969, Project Management Institute (PMI) was formed who published the Project Management Body of Knowledge (PMBOK) first edition and the main constraints focused for managing a project effectively were time, cost and scope (triple constraints). 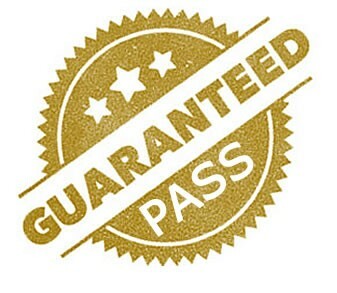 Quality management was left as a by-product on project subject matter experts without a direct link towards the project management processes and standards. Since, quality was not a focused element it led to rework in many aspects of project delivery causing project failures. On the other hand, manufacturing industries were much more mature and implemented effective processes to control quality for product development. They had realized to remain profitable in business, it was necessary to standardize quality processes and have them appropriately managed. Using effective quality management processes, manufacturing firms started producing products which were fit for purpose and satisfied the needs of the client. Then around 1970s-80s quality was introduced in service industries. Firms started realizing the value of quality management which can be used to control service elements and not just product development. “It was no good just producing a reliable and well-engineered car; the servicing, maintenance and warranty procedures had to be of good quality too”. Moreover, the nature of businesses were getting more aligned towards service orientation which further required a need to have quality to be well managed in service elements and not just products to have full value for the end users. The main challenge in quality management has been the extent of how much quality is required to reach the product to a state of fit for use. There has always been a debate between consultants on the level of quality as the derivation of each one’s expectation can be subjective and misaligned towards fit for use. And the nature of quality can be endless, you can always have a missing element on most sophisticated product if you do not like it or doesn’t fit your needs. So, to summarize in simple terms, a product or service can be said to have quality if it is fit for its intended purpose and satisfies the needs of the customer. For Example, providing a young adult with a rolls royce car which is elegant, sophisticated and considered high quality will not satisfy him as he is expecting a sports car to move around swiftly. This difference in expectations can cause a lot of rework. Particularly in software projects, where there is no way to imagine the end product from the beginning. This triggered a high need of having quality management well blended within the project management processes which is the case of most of the methodologies today. The critical aspects of project quality is to have it aligned and linking back to the corporate Quality Management system (QMS) and balance it with other project constraints (cost, time and scope). 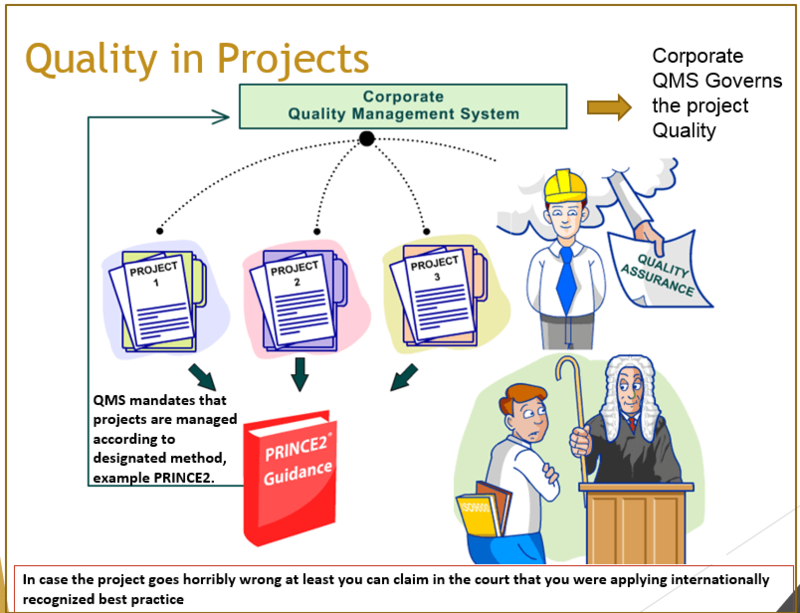 QMS mandates that all projects are managed according to a designated method, PRINCE2 for example. This has many advantages in that is relieves the QMS on the need to detail all of the project management processes. But it is crucial to align the project standards mandated from QMS to ensure that it is aligned to the project timelines and are within the defined cost budgets. The challenge for the project manager is to balance the quality with the other constraints and not let the stakeholders dwell in to quality, so much that it is enhanced to an Aerospace level. There are 3 major processes related to Quality in a project environment. They are Quality planning, Quality Assurance and Quality Control. The Quality Assurance process will always be external to the project, carried out by the corporate body. 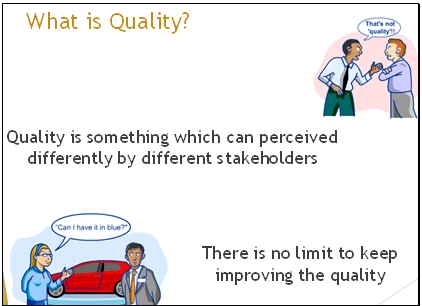 So, from a Project management viewpoint, the two processes of most concern are Quality Planning and Quality Control. Quality Planning establishes the objectives and requirements for quality and lays out the overall approach, project quality plan and defines the stage quality activities that are needed to ensure that quality is achieved. It is vital to define the acceptance criteria part of quality planning to avoid misaligned expectations during product delivery. The root cause for a lot of issues in product acceptance is that the quality criteria of acceptance weren’t agreed prior to product delivery with the appropriate stakeholders. Quality Control is the means of ensuring that products meet the quality criteria specified for them part of planning. Quality control is about examining products to determine that they meet requirements and so normally takes place after some work has been done. In Summary, Quality management in the past was not a major priority for project managers. But with the issues of rework and evolution of Quality in different industries, it has become an important component to be managed. Effective Quality management aligns client expectations towards the actual planned product and also ensures that the product will be fit for use after getting delivered. Moreover, Quality doesn’t have an endless remit, it has to be balanced with the other project constraints to ensure the project has a definite end goal. Corporate QMS is most cases mandates the project quality and is advisable to have the project quality processes aligned to international standards. 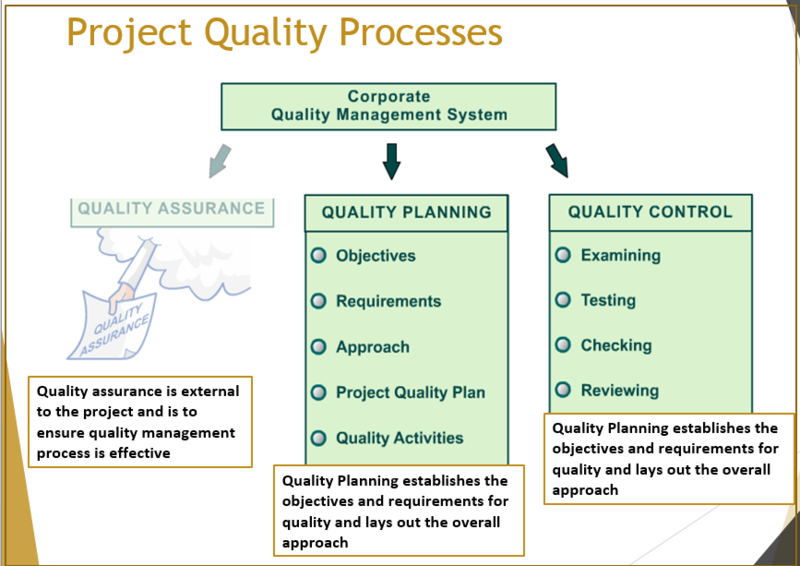 Project Quality Management has three main processes which are Quality planning, Quality control and Quality Assurance. 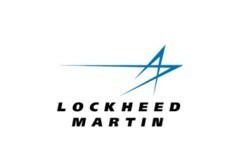 Quality assurance is external to project environments is controlled by corporate management. 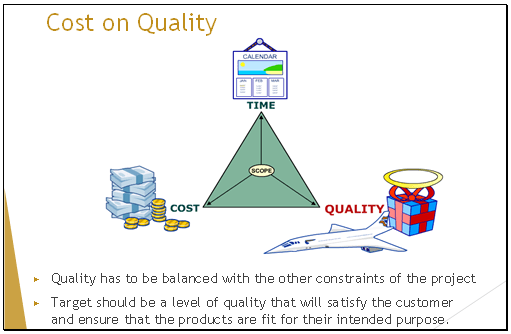 Quality planning and control are part of the project quality processes. Quality Planning defines what needs to be achieved to satisfy the client and the Quality control ensures that it has been achieved.